• Composed of surfactants and perfumed, the concentrate is particularly effective on faecal coliforms, faecal streptococci, salmonella. 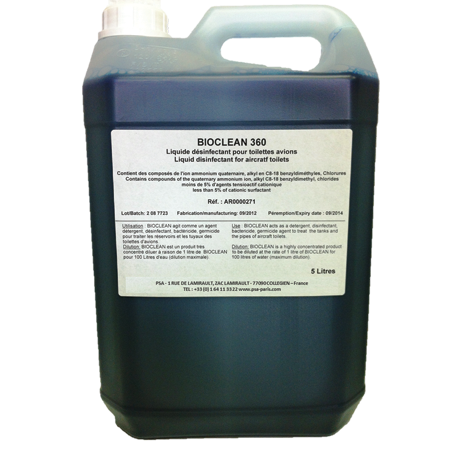 • It does not contain formaldehyde, phenol or derivatives. • system, in accordance with the legislation in force.